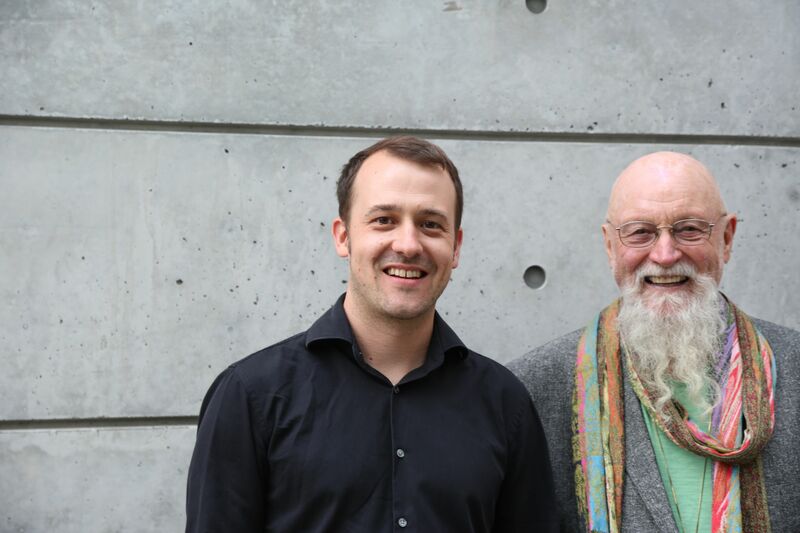 CALIFORNIA COMPOSER TERRY RILEY launched what is now known as the Minimalist movement with his revolutionary classic, IN C in 1964. This seminal work provided a new concept in musical form based on interlocking repetitive patterns. It’s impact was to change the course of 20th century music and its influence can be heard in the works of promient composers such as STEVE REICH, PHILIP GLASS, JOHN ADAMS and Rock groups such as, THE WHO, THE SOFT MACHINE, TANGERINE DREAM and CURVED AIR. Terry`s hypnotic, multi-layered, polymetric, brightly orchestrated, eastern flavored improvisations set the stage for the New Age movement that was to appear a decade or so later. in 1970, Terry became a disciple of the revered North Indian Raga Vocalist, Pandit Pran Nath and made the first of his numerous trips to India to study with the Master. He appeared frequently in concert with the legendary singer as tampura, tabla and vocal accompanist over the next 26 years until Pran Naths passing in 1996. While teaching at Mills College in Oakland in the 1970’s he met David Harrington, founder and leader of the Kronos Quartet that began the long association that has so far produced 13 string quartets, a quintet, Crows Rosary and a concerto for string quartet, The Sands which was the Salzburg Festival’s first ever new music commission and the 2003 SUN RINGS, the multi media piece for choir, visuals and Space sounds, commissioned by NASA. Most recently he has completed THE CUSP OF MAGIC, for string quartet and pipa. Cadenza on the Night Plain was selected by both Time and Newsweek as one of the 10 best Classical albums of the year. The epic 5 quartet cycle, Salome Dances for Peace was selected as the #1 Classical album of the year by USA Today and was nominated for a Grammy. Riley’s innovative first orchestral piece Jade Palace was commissioned by Carnegie Hall for the Centennial celebration 1990/91. It was premiered there by Leonard Slatkin and the Saint Louis Symphony. June Buddha’s, for Chorus and Orchestra, based on Jack Kerouac’s Mexico City Blues was commissioned by the Koussevitsky foundation in 1991. The Rova Saxophone Quartet, the Arte saxophone quartet, Array Music, Zeitgeist, the Steven Scott Bowed Piano Ensemble, The California E.A.R. unit, Guitarist’s David Tanenbaum, the Assad brothers. Cello Conjunto, the Abel Steinberg-Winant Trio, Pianist Werner Bartschi and the Amati Quartet are some of the performers and ensembles who have commissioned and performed his works. From 1989 to1993 he formed and lead the ensemble Khayal to perform works written for them. He subsequently formed The Allstars and the Vigil Band. He regularly performs solo piano concerts of his works from the past 30 years. He also appears in duo concerts with Indian Sitarist Krishna Bhatt, Saxophonist George Brooks, Gyan Riley and especially with virtuoso Italian bassist, Stefano Scodanibbio. In 1992, he formed the small theater company, The Travelling-Avantt-Gaard to perform the chamber opera The Saint Adolf Ring based on the divinely mad drawings, poetry, writings and mathematical calculations of Adolf Woelfli, an early 20th century Swiss Artist who suffered from schizophrenia and created his entire output over a 35 year span while confined in a mental institution. Terry is currently at work on a set of 24 pieces for guitar and guitar ensemble called The Book of Abbeyozzud and has recently completed a book of 5 pieces for piano, four hands. In 1999 he was commissioned by the Norwich Festival to compose a new work, WHAT THE RIVER SAID, which toured Britain with the UK based group, Sounds Bazaar featuring the great drupad vocalist Amelia Cuni. Then followed a commission from the Kanagawa Foundation in Yokohama to create an evening length work for solo piano in micro tonal tuning. 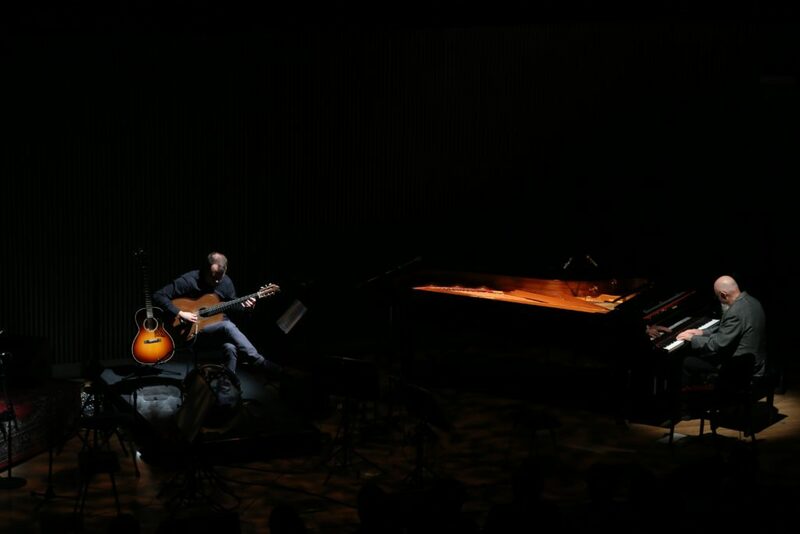 THE DREAM, which received simultaneous premiers in Rome and in Yokohama performed by the composer. 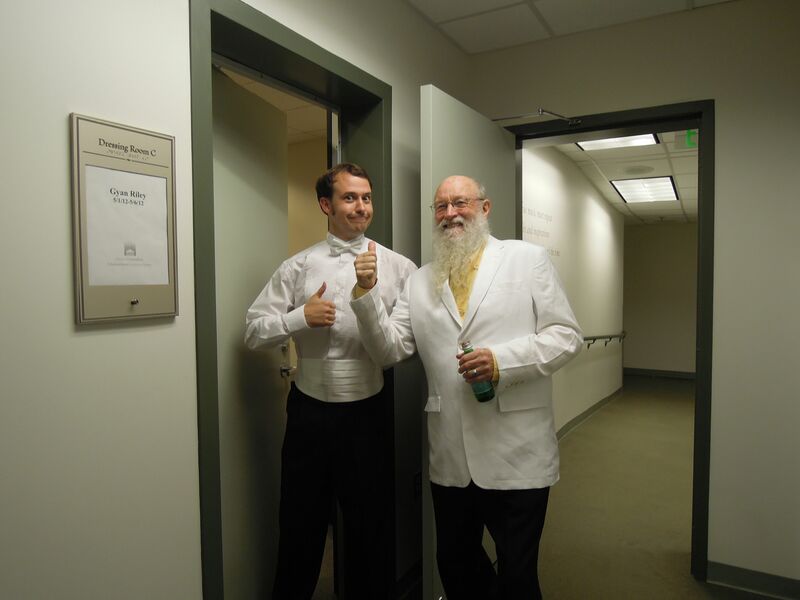 The new millennium began with a tour of a new band, Terry Riley and the All Stars which included George Brooks, saxophones, Tracy Silverman, Violin and 6 string Viola , Gyan Riley Guitar and Stefano Scodanibbio, string Bass with the final concert launching the first New Sounds Live concert of the 21st Century at Merkin Hall. BANANA HUMBERTO 2000, a piano concerto, was written for and performed many times by the composer with the Paul Dresher Ensemble. He is at work on a new solo cello piece commissioned by legendary Artist Bruce Connor to be performed by former Kronos Quartet cellist, Jean Jeanrenaud. Music for a new staging of Michael McClures play, Josephine the Mouse Singer was written for a run in February 2001 at San Francisco’s SoMart theater. In 2004 Terry and Michael released their first collaborative album, I LIKE YOUR EYES LIBERTY. In May of 2000, Terry made his first tour of Russia with solo piano concerts at the Sergei Kuryokin Festival in Saint Petersburg and at the Moscow Conservatory and the Dom, a privately run contemporary music club. 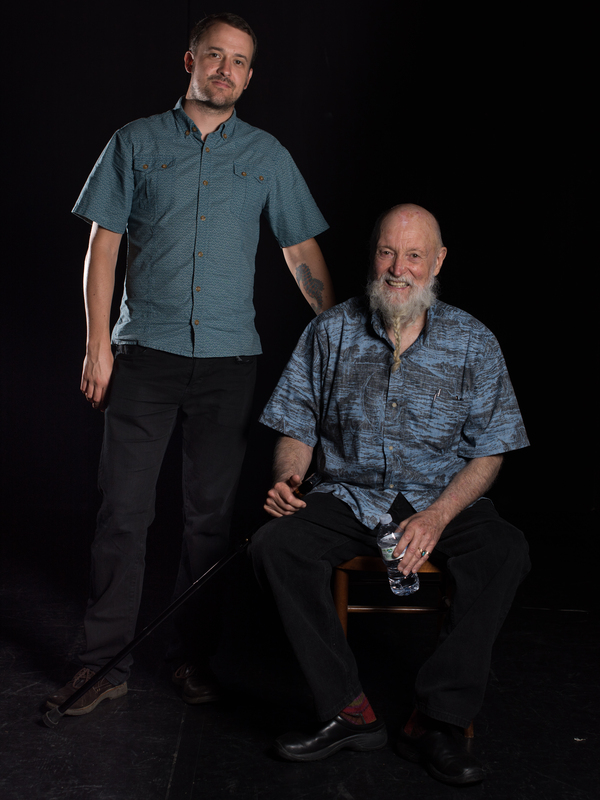 The review of these concerts in Izvestia proclaimed “Terry Riley to be the greatest composer pianist since Prokofieff”. Terry has scored 3 feature films and has made music for numerous short films including those of Bruce Conner. In 2003 his plans for the new TIME LAG ACCUMULATOR were realized and constructed for the Festival of Lille. This 9 room mirrored structure with multi time delays was modeled on the original TIME LAG ACCUMULATOR assembled in 1968 for the Magic Theatre Show at the Nelson Atkins Gallery in Kansas City. The new TLA will reside at the museum of Contemporary Art in Lyon France.